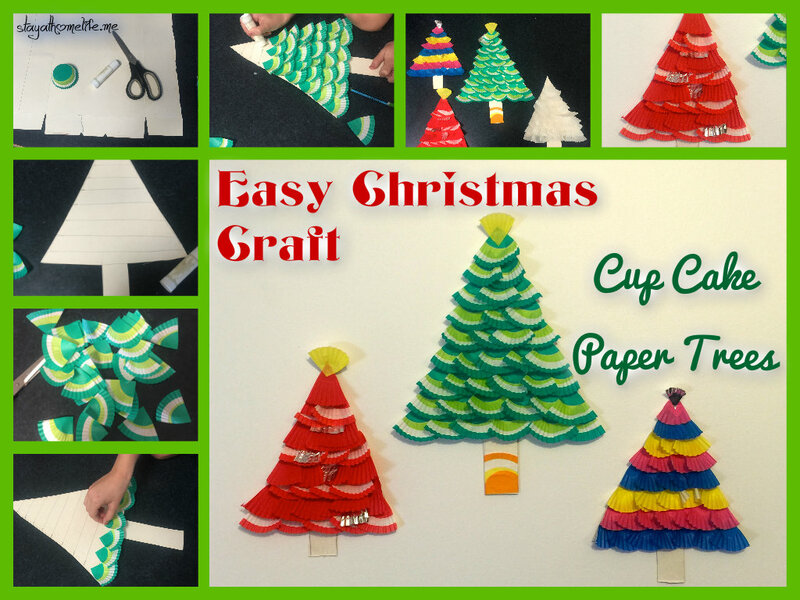 Christmas Craft For Kids – Cup Cake Christmas Trees. These are so easy to make and turned out super cute. 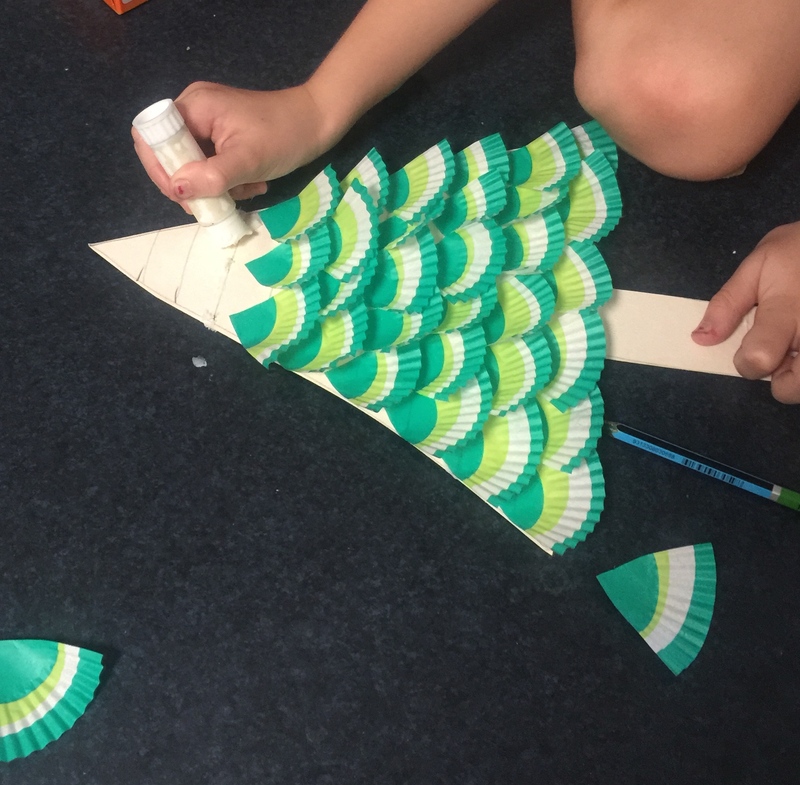 Inspiration actually came form some fish scales I saw some students at school making. 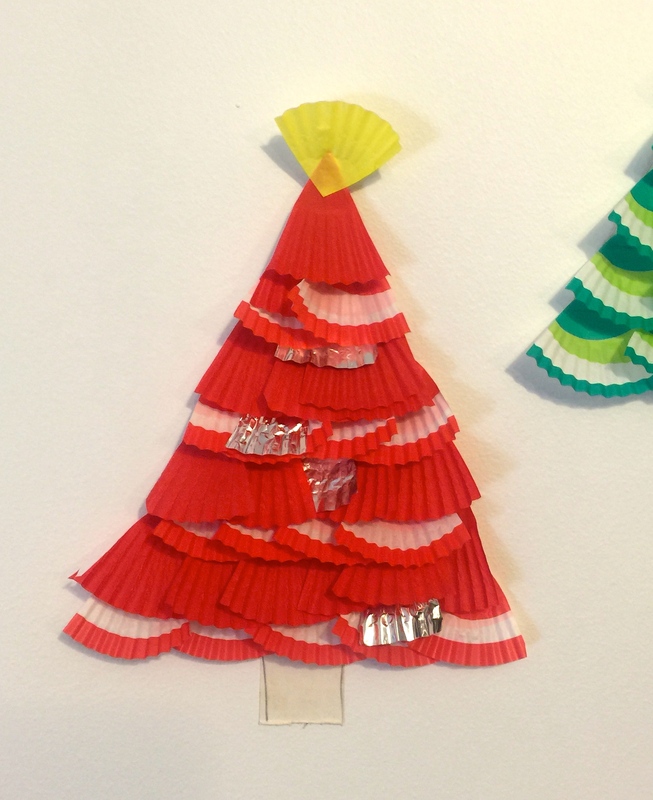 All you need is some cup cake papers, cardboard (we used an old cereal box) glue stick (or paper glue) and scissors. We just used cup cake papers we had in the cupboard, the striped green is my favourite. 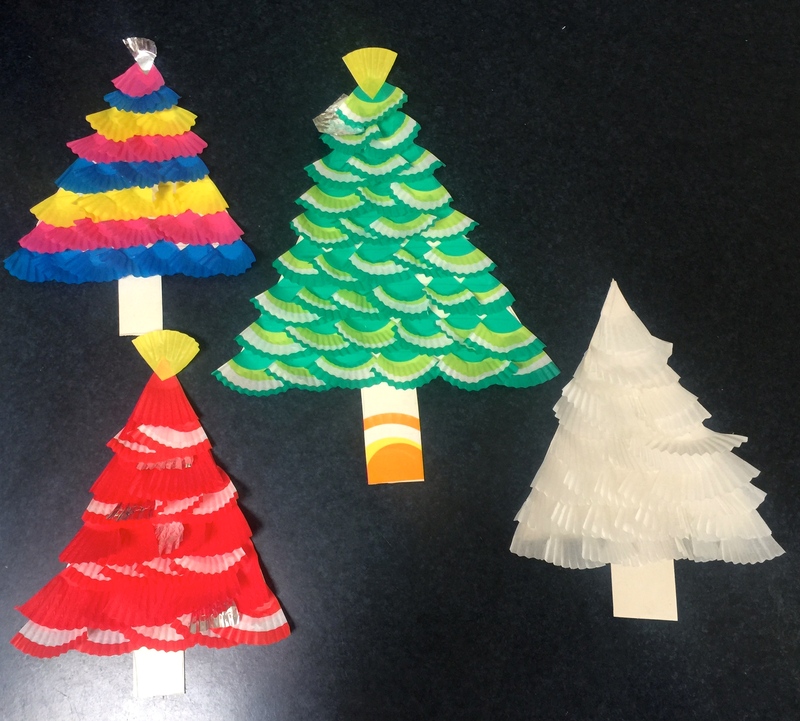 Draw and cut out a tree shape. For the first few, I drew lines as a guide for the rows so that Ms 5 didn’t just stick the papers all over the place. This created the layers or ‘tiers’. By the time she got to do her own at the end, she didn’t need lines anymore as she understood the process. Just press down the flat part (the bottom) of the cup cake paper, not the corrugated part. Once the bottom line is covered, move up to the next row and repeat until you get to the top. 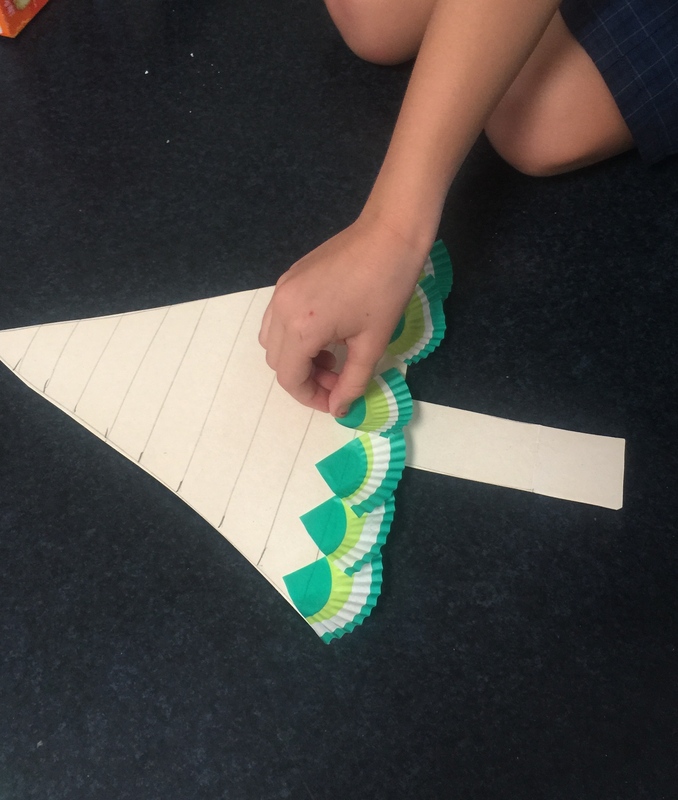 Ms5 decided to finish them off with a yellow paper sticking out the top like a star. Great idea! Now she has the hang of it.